Auckland really is the gift that keeps on giving. While our city is blessed with the best things to see and do—eating is really where us Aucklanders have lucked out. With restaurants galore dishing up food and fusions from all corners of the world, there’s no denying Auckland’s restaurant scene is the best out. Whether you’re wanting to splash out on wooing a special someone or fancy a casual comfort-food feed, here are Auckland’s best restaurants for your wining and dining needs. No strut down the Ponsonby Road strip is complete without a pit-stop at the Blue Breeze Inn. If the scent of their delicious baos and dumplings isn’t enough to rope you in as you walk past, then, quite frankly, we don’t know what will. Set in a pacific-paradise-inspired interior, Blue Breeze Inn dishes out modern Chinese fare, with a side of tropical flavours. 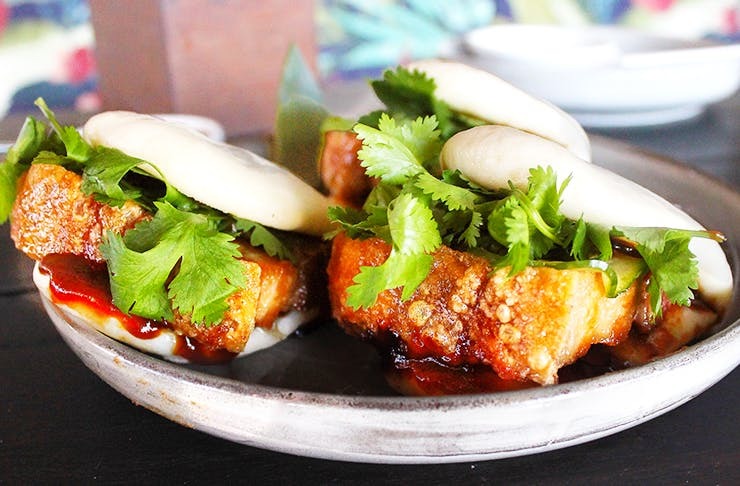 As one of Auckland’s best Restaurant’s to get your hands on a filled bao—we guarantee that both the roast pork belly buns and five-spice eggplant steamed buns are some of the tastiest you’ll ever try. You’ll also be treated to a long list of dumplings and wontons, with fillings along the lines of black tiger prawns and sesame, as well as ones with spicy fried chicken centres. Better yet, diners sitting by the open kitchen bar can see their dumplings being hand-made by Chinese-trained chefs in an impromptu dinner performance. For dessert, there’s raw cheesecake, soft-serve ice-cream or a heavenly chocolate pot on the menu (which, FYI, is well worth the 20-minute wait time). Out-of-this-world harbour views and a menu to match make the aptly named Harbourside one of Auckland’s best restaurants for a special dinner. 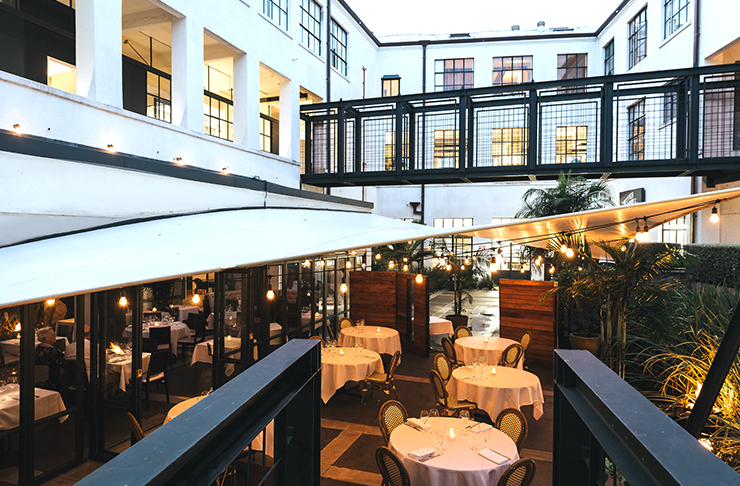 Venture up to the first floor of the historic ferry building, and you’ll be sweetly rewarded with this upscale bistro’s amazing views, drinks and menu—in that order. A balcony facing the water is the perfect place to perch on a lounger and take in the views of the harbour and North Shore. Throw one of their cheese, mixed seafood, sushi or oyster platters into the mix as well as a cocktail and you’ve got all the makings for the start of an indulgent evening. 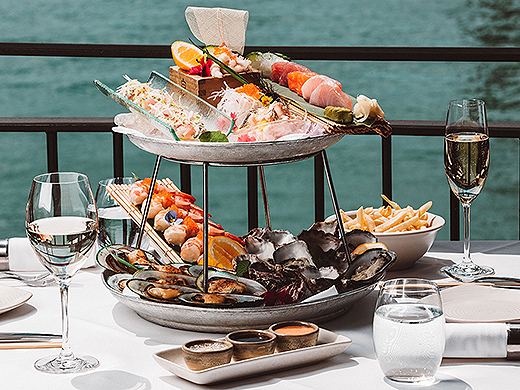 As one of Auckland’s best seafood restaurants, a visit here wouldn’t be complete without indulging in their exquisite seafood dishes. You’ll find whole, grilled fish on the menu, served on the bone and off from game fish to the coveted Fiordland crayfish. There’s also a lineup of classic seafood dishes like West Coast whitebait fritters, seafood chowder and, of course, the ever iconic shrimp cocktail. If you fancy branching out and treating yourself, New Zealand’s iconic shellfish, the flash fried New Zealand paua will do just the trick. There’s good pasta and then there’s Cotto level good pasta. Handmade with premium ingredients (and loads of love), it’s safe to say that this K' Road eatery is one of the best restaurants in Auckland to help you curb your carb cravings in the chicest and cosiest way possible. 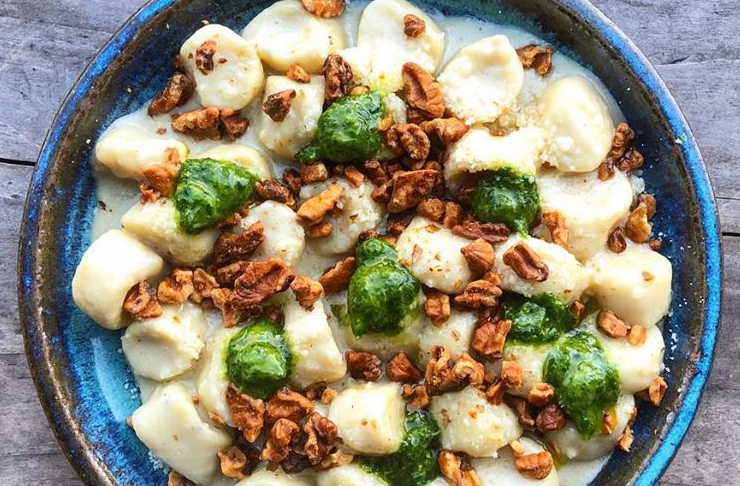 From gnocchi to ravioli, each of their pasta plates is perfectly presented, with decadent sauces, cheeses, fresh garnishing and just the right amount of sauces. To say that their dishes are works of art is a huge understatement—they’re oeuvres and culinary masterpieces. Their cocktails are impossibly impressive too. In fact, they’re liquid art. From their peppery lemon, sloe berry and gin blend right through to the vodka, granny smith apple and maraschino blend, each sip of these bevvies is a lip-smacking treat. If pairing your food with traditional tipples like wine and bubbles is more your jam, then you’ll be chuffed by their short and sweet wine list. It features some of the best predominantly Italian and French drops of red, white and bubbly wine. Good food, good wine and a warm atmosphere have found a cosy home in K-Road eatery, Apéro. Named after the French ritual of savouring a wine or two in excellent company, this spot is really a celebration of the good things in life. The menu is all about simplicity and quality—so expect dishes showcasing classic European ingredients. If you’re wanting to try an authentically French bistro platter, their charcuterie plate is the way to go. While the cured meats and carnivorous treats are a delicious stand alone, they’re certainly best paired with a nice drop of wine—of which the team at Apero have plenty. Curated by one of Apéro’s masterminds, Mo, there’s a snazzy list of more than 30 wines that have been handpicked from around the world and locally. A glass or two is worth indulging in, alongside an authentic terrine pate, an indulgent dessert or one of their three daily special meals. Housed in an old chocolate factory, Cibo continues this site’s legacy of conjuring up that foodies obsess over. From the decor to the dishes to the second-to-none service, this Parnell eatery has it all. It comes as a surprise to no one that Cibo has been a crowd favourite for more than 20 years, raking up awards left right and centre along the way. Here, you can enjoy your a-la-carte choice or degustation menu among one of the best alfresco courtyards in Parnell...or in the whole of Auckland. Their plush interior is complete with an eye-catching and highly ‘grammable cherry blossom feature wall, dotted with decorative mirrors. There’s also a cosy chandelier-lit corner, perfect for romantic dinners or celebrations with your squad—or just treating yourself to a fabulous cocktail or two. Speaking of fabulous, let’s talk dessert. With more dessert options than dinner ones, diners are spoiled for choice here. The highlight is no doubt their famous pavlova line up. You’ll find not one, but three of pavs on the menu, which come garnished with everything from Turkish delight to salted caramel, and even with a brandy snap. Contemporary Japanese dining doesn’t come much better than at Ebisu. 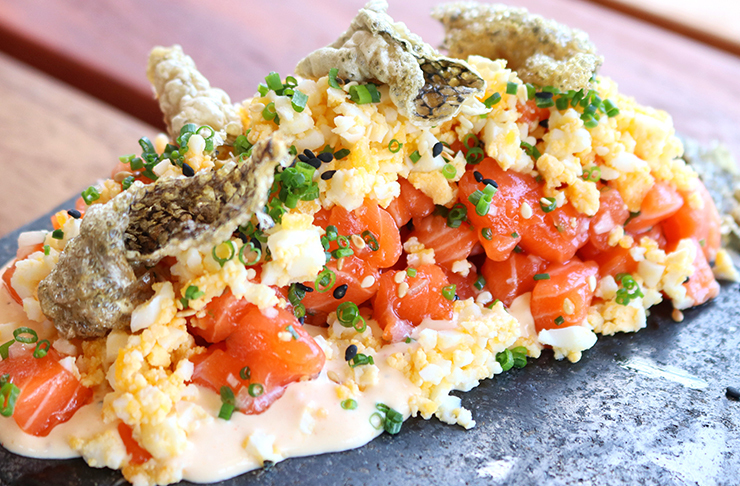 A menu boasting fine rolled sushi, tempura, sashimi and nigiri among a selection of small plates has earned this Britomart eatery its place in this list of Auckland’s best restaurants—as well as the hearts of local foodies. Tucked away behind an unassuming Britomart façade, this eatery is your ticket to a Japanese paradise in the heart of the city. If picking from their extensive menu proves too much to handle (trust us, we’ve been there too), opt for their Sushi & sashimi or mixed meat platter for an exquisite taste of some of their best creations. One of the highlights of their offering is there out of this world set menu—which features an impressive total of 14 dishes. Even more exciting is the fact that these can even be made completely vegan. While we’re on the topic of Ebisu’s impressive offerings, we can’t forget to mention their sake menu. Boasting both hot and cold versions of the traditional Japanese drop, you’ll find upwards of 15 types of premium sakes, all hand-picked by the team for their taste and quality. With impossibly chic decor, a cocktail named after Carrie Bradshaw, and a decadent Mediterranean fare to match, it comes as no surprise that local favourite Vivace graces this list of Auckland’s best restaurants. Located at the tip of every city-dwellers fingers in Fort Street, it’s the perfect place for all occasions, from romantic wining and dining to corporate dinners. Don’t worry if you can’t quite grabble with choosing between the tomato Caprese, duck and chicken pâté parfait, or cured salon or avocado mousse bites on their cold tapas menu—they are pick-and-mix, after all. The tapas shenanigans don’t stop there, with a separate menu dedicated to hot treats straight from their Mediterranean grill and oven. From grilled chorizo to beef empanadas, seared scallops and prosciutto to goats cheese and mozzarella balls, you name a rustic favourite, they’ve got it. As far as pasta goes, they shake things up with black spaghetti and kumara gnocchi is also on the cards. Other authentic tastes of the Mediterranean come in the form of creamy risottos, perfectly grilled and marinated meat, heavy mains and fresh salads. Wash your meal down with a wine or two from their extensive and award-winning wine list and you’ll be eating yourself into a European dream (and possibly food coma) in no time. Taking a well-deserved place as one of Auckland’s best restaurants—and in any pasta lover’s heart—is none other than K' Road’s Coco’s Cantina. Homely, inviting, colourful and home to the best Italian comfort food known to Aucklanders, dining here is like being at an Italian Nonna’s dinner table. For ultimate carbalicious indulgence, treat yourself to Coco’s iconic spaghetti and meatballs. Made with love, succulent mince and lashings of delicious homemade sauce, this cult-status spaghetti will have you slipping into a Sicilian daze with each slurp. If you fancy venturing into other pasta territories, there’s an ever-changing pasta of the day and a decadent ravioli on the menu. For something on the lighter side, the polenta chips, daily-made arancini and antipasti always go down a treat—especially with a tipple or two from their well-curated international wine list. Feriza’s serves up Ottoman-inspired cuisine in the chicest way possible. Occupying a beautifully decorated and sun-filled spot on the Wynyard Quarter strip, this eatery brings the tastes of Turkey, Greece and the Middle East to Auckland’s waterfront. Created by sibling team Alex and Feriza Isik, a sense of togetherness is at the very core of Feriza’s offering. The menu is inspired by their grandmother's recipes, and the diverse dishes are encouraged to be shared in traditional ‘mezze’ style dining (although you’ll be forgiven for wanting to keep the deliciousness to yourself). From the slow-cooked lamb on flatbread to the Turkish meatballs, the Ottoman eggplant to the plethora of sharing platters, the menu utterly spoils diners with delicious, hearty choices. Not to be missed is the delectable dessert menu, which boasts everything from chocolate fondant to a special sundae with a Turkish twist. For a sample of the best sugary treats, the empire has to offer, indulge in a Taste of Turkey dessert plate. 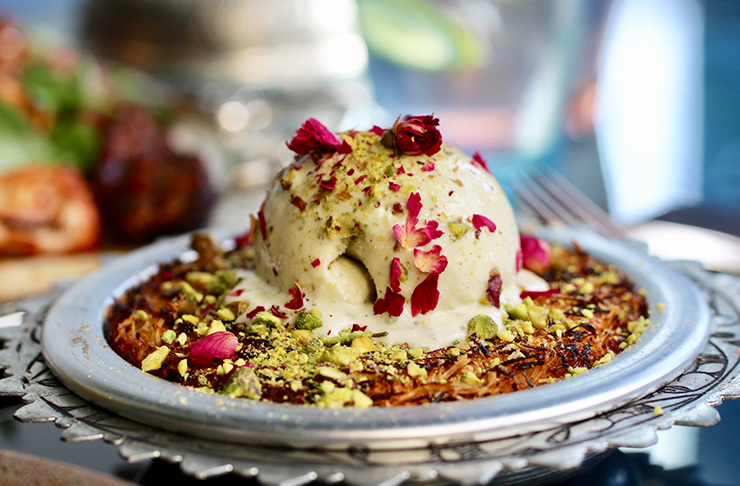 Complete with pistachio ice-cream, baklava and all kinds of decadence, it’s safe to say that you’re in for quite the Turkish delight. The Sugar Club takes fine dining to the next level. Quite literally even. An avant-garde approach to cuisine and in a coveted spot the city’s skyline make this one of Auckland’s best restaurants for a memorable and mighty fine dinner. Sitting high on the 53rd storey of the Sky Tower, guests are treated to spectacular sweeping views of the city, reaching from the North Shore to the southern suburbs. Come nighttime, the view transforms into a dazzling spectacle of city lights. Also incredible, is of course, The Sugar Club’s one-of-a-kind cuisine. It’s carefully crafted season after season by local celebrity chef Peter Gordon and Executive Chef Josh Barlow. For the ultimate indulgence, one can’t go past the Chef’s Tasting Menu. Dotted with seasonal dishes that incorporate only the finest local produce—it’s safe to say is something special. So much so, that they’ve dedicated Friday and Saturday nights to exclusively serving these divine degustations (which are also available during the week). If you fancy playing god with your dinner choices—because you are dining amongst the heavens, after all—then swing by from Sunday to Thursday, and treat yourself to their à la carte menu. Featuring fresh seafood, meats and produce sourced locally and from artisans all over the world—these beautifully presented and heavenly dishes are like nothing you’ve ever tasted. 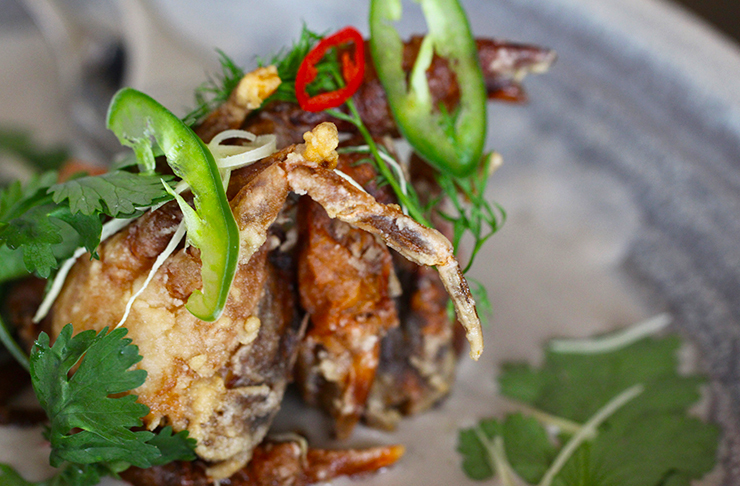 More than just an Asian fusion eatery, Fang dishes up Sichuan fare with a kick. We’re not just talking on a spice level here. Oh no, this restaurant is all about shaking things up and leading a flavour revolution in a punchy and punked out Parnell dining room. Lead by namesake chef, Fang, this revolution manifests itself in the form of dishing up out-of-this-world, authentic Sichuan meals made from recipes passed down from her grandfather. Among these trailblazing dishes, you’ll find small but mighty shares like a deep-fried lotus with spices, a spicy bang-bang chicken cup, and the impossibly pretty and sculptural cured salmon cones. There’s also a mouth-watering line up of dumplings, filled with veggie and lemon goat cheese and even wagyu beef with five spices. The fun doesn’t stop there, a DIY confit duck leg wrap and a 10-hour braised pork belly are just some of the large dishes that push the boundaries of flavour. Of course, no killer menu is complete without a cocktail list. From the fairy-floss-topped ‘Strawberry Fang’ to the goji-berry-filled ‘Battle of Britain', these cocktails are the ultimate fuel for a revolution. Amano is Auckland’s sleek and sophisticated answer to cosy Italian dining. Much like the fare, the fit out of this iconic Britomart eatery is elegantly rustic. Industrial touches are mixed with rich marbles and brass mosaic feature walls, and a huge cloud of dried provincial flowers hangs from above—creating the dreamiest setting in which to devour their equally divine dishes. Taking centre stage of Amano’s menu is undoubtedly the pasta. Hand-made daily using locally sourced ingredients and flour (from their very own on-site flour mill, nonetheless) it’s safe to say that it’s in a league of its own. There’s also a stellar range of seasonal meat and seafood dishes, featuring the likes of shellfish, cured meats, succulent steaks and even a 30-day dry-aged bone-in Angus ribeye steak. Deserving a special mention is, of course, the dairy menu—a dedicated section to decadent cheese-based dishes. If your sweet tooth is tingling for a treat, make sure you stay for dessert or swing by the bakery on the way out to pick up one of Auckland’s best pastries. 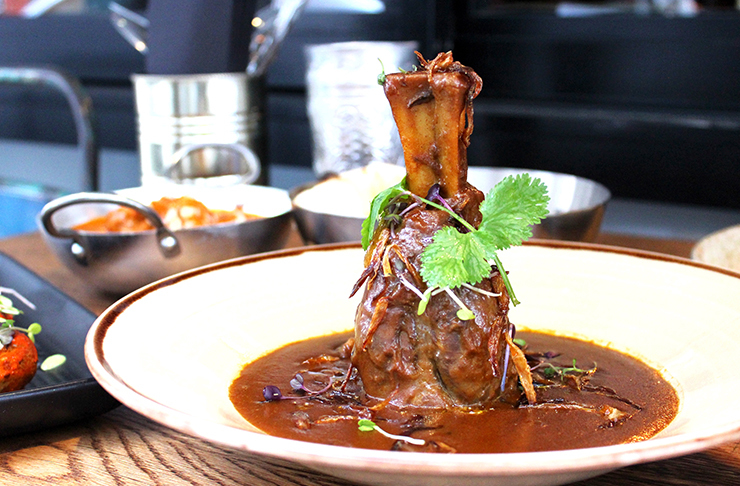 Stumble upon this hidden gem, and you’ll be sweetly rewarded with one of Auckland’s best restaurants for authentic Indian fare. Tucked tightly between Federal Street’s high-rises, 1947 Eatery is Auckland’s best kept culinary secret—and one that you’ll want to share with everyone and anyone the minute you set foot inside the casual, yet chic, establishment. Their fried chicken lollipops, otherwise known as ‘wannabe drumsticks,’ or a mashed street samosa chaat make for the perfect savoury snack—as do their loaded curry chips, complete with a sumptuous butter sauce and gooey melted cheese. For something a little more substantial, their line-up of tandoor-grilled meats makes for a lip-smacking treat. The shining stars of 1947 Eatery’s offerings are undoubtedly the curries: from a slow-cooked dry goat curry to a silky bang-bang butter chicken, these creations are packed full of fragrance and flavour. Speaking of flavoursome, you can’t stop by without indulging in their fabulous cocktails. From their unique popcorn-topped ‘Butter Pop Pop Pop’ to oh-so-pretty ‘Lady In Pink’ mixes, we promise you’ll find any and every excuse to come back for more. Fine dining doesn’t come much better than at Sid at The French Café. Once simply the standalone restaurant known as The French Café, restaurateurs Sid and Chand Sahrawat of Sidart have since taken over and put their spin on this iconic restaurant. The result? The most exquisite fine dining lovechild to ever exist. Their tasting menu will take you through a symphony of flavours and textures, from cured kingfish with oyster cream to start, through to a sweet passionfruit, rockmelon and coconut treat to finish. A vegetarian menu is on the cards too, with salt-baked kohlrabi, mushrooms and pomme soufflé, among a basket of veggie-filled offerings. 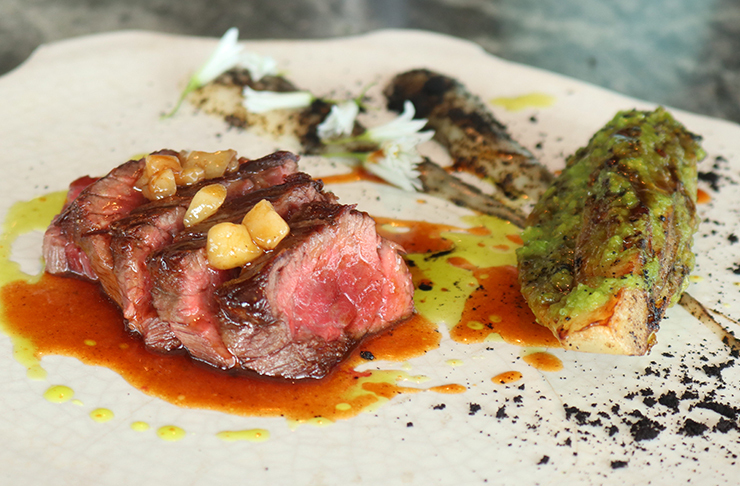 Their à-la-carte menu is equally impressive, boasting unique dishes featuring venison tartare, paua, quail and local meat mixed with unique ingredients to create otherworldly flavour mixes. Both carefully curated and considered, all dishes are nothing short of works of art and are *almost* too pretty to eat. The exquisiteness doesn’t limit itself to food: a dedicated sommelier is to thank for handpicking the best drops from each and every appellation, cellar and corner of the world. 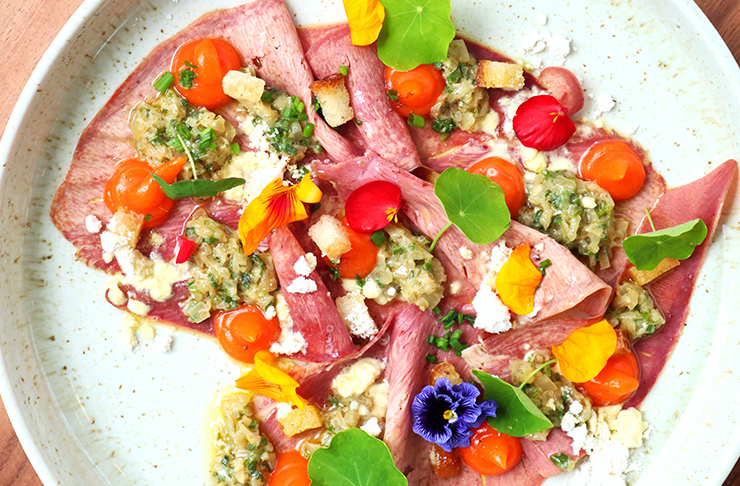 From long lunches to loved up dinners—Prego is the place to go for any and every occasion. Both a local favourite and urban destination restaurant for more 30 years and counting, this Ponsonby icon is both one of the very best and longest standing restaurants in Auckland. From the sumptuous menu of Italian classics right through to the mouth-watering smell of pizza that fills the air, a visit here is a promised feast for the senses. The menu features upscale twists on the Italian staples we know and love, from bruschetta to gourmet pasta and pizzas. There’s also a stellar range of mains featuring local meats and market fish, all prepared with a dose of Italian pizazz. Mozzarella lovers will be stoked to know this glorious cheese graces the menu in not one but two dishes—as a classic Tomato Mozzarella Caprese Salad and a beautifully garnished Burrata. Round off your Italian indulgence with a drop from their long wine-list of international and local drops, and you’ll truly be living la dolce vita. 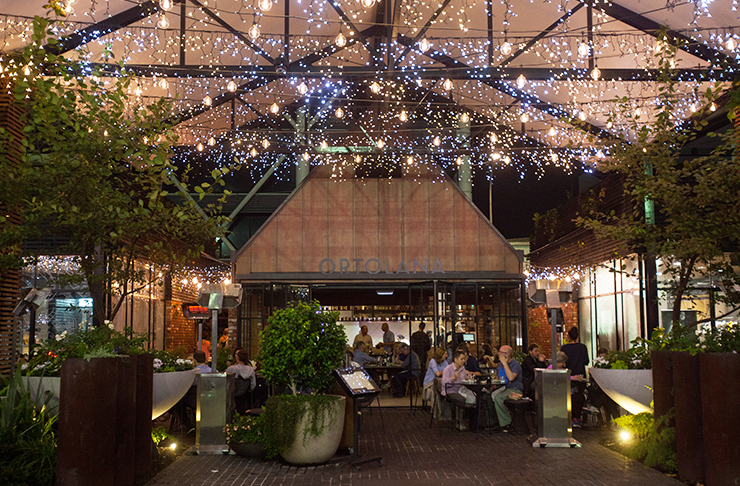 Nestled among the boutiques and fairy lights of Britomart pavilion, you’ll find the chic little gem of a restaurant. Translating to “market gardener” in Italian, it’s safe to say that Ortolana’s name perfectly sums up their foodie philosophy of creating garden-to-plate-level fresh dishes. Each dish from their ever-changing menu is made with lashings of love, local ingredients and produce grown from their very own gardens. With this close attention to detail, every plate simply bursts with colour, freshness and flavour—and impossibly beautiful (and Instagrammable). A perfect place to suit all wining and dining needs, you can rest assured that here there are plenty of tasty options for vegetarians, vegans and meat-eaters alike. Their focus on freshness doesn’t stop there, of course. Glimpse over their short but sweet cocktail list, and you’ll be treated to a selection of tipples also bursting with fresh flavours. For a booze-free option, their home-made sodas always go down a treat in flavours like pear and thyme, or a classic lemonade. When the craving for savoury and sumptuous comfort food kicks, Federal Delicatessen is your saving grace. If the table wait times and long lines aren’t telling enough, trust us when we say that the food at The Fed will blow your mind—and your tastebuds. The New York-style deli menu is jam-packed with the best classic Americana soul food known to any Auckland restaurant. 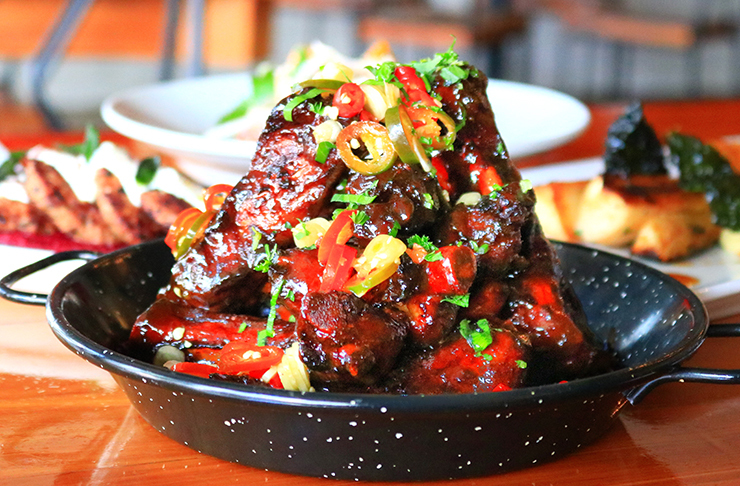 Street dogs, a turkey meatloaf, generously filled sammies, Montreal poutine and a classic NY strip steak are just the tip of the iceberg of delicious dishes to dig in to. Also worth a special mention are their superb sides, which range from fried eggs (yes, they’re a thing), to creamy ‘slaw and latke bites. To wash all this goodness down, they have beer on tap from the likes of Moa, Sawmill and Hallertau breweries, as well as a range of root beer, coke or cherry sodas soda floats. Skipping dessert simply isn’t an option here. In fact, we’d say that tossing up the opportunity to dig into a slice of their famous pie is a foodie crime. If you can’t quite choose between their coconut, lemon meringue of banoffee pie (just to name a few) then opt for their “3-way” combo of any three of these slices of heaven. You’re not a true Aucklander if you haven’t paid this infamous Ponsonby Road eatery a visit. There’s nothing quite as quintessentially Ponsonby-ian as whiling away a summers’ evening while dining alfresco on SPQR’s coveted road-side terrace tables—with a bottle of bubbles in tow, of course. Translating from the Ancient Roman expression for “a place for everyone,” this restaurant is warm and welcoming, with sleek service and a buzzing atmosphere and a cosy fireplace. Here you’ll find an upscale twist on classic Italian menus, with staples like pizza and pasta sitting alongside elegant bistro dishes. Sherry glazed duck, oven-roasted snapper and prime steak fillets are just some of the meat-rich mains gracing the menu. For something a tad lighter, yet equally tasty, their salads and antipasto platters never go amiss. In true Italian style, they have a range of fine drops in an extensive wine list that easily rivals that of an Italian vineyard's cellar. Home to good food, drinks and vibes—it’s really no surprise that SPQR is in its umpteenth year as a Ponsonby road hotspot. While the view may draw you in—one glimpse over the menu will have you staying put here for hours. From their ever-original fried oyster McMuffins (yes, that exists) to their woodfired steak with cheese fondue—there’s something delicious to suit every tastebud. You’ll also find one of the best (and most aptly named) desserts in Auckland—the Jafa cream puffs. Made with of orange chocolate profiteroles, citrus custard and lashings of flavours, they’ll take you to the foodie seventh heaven. Looking to impress a special dinner date, business meeting our your out of town pals? Ostro’s spectacular food and views will most certainly do the trick for you. Overlooking the Auckland harbour from its perch in Britomart’s Seafarers building, this hotspot is undeniably one of Auckland’s best restaurants to indulge in stunning views–and of course, stunning food. If you’re a fan of fine raw seafood, this place is surely for you. Their raw bar offers everything from classic oysters through to ceviche, and even a two-person raw seafood platter to share with your dinner companion. On the other hand, if you prefer your catches cooked, there’s always a grilled market fish, salmon and even a lobster and snapper pie on the cards. There’s also a succulent line-up of meat dishes, with the highlight being a beef wellington for made for two. Impossibly stylish yet relaxed, and with a premium food and wine menu to match—it’s impossible not to love this inner-city gastronomic gem. 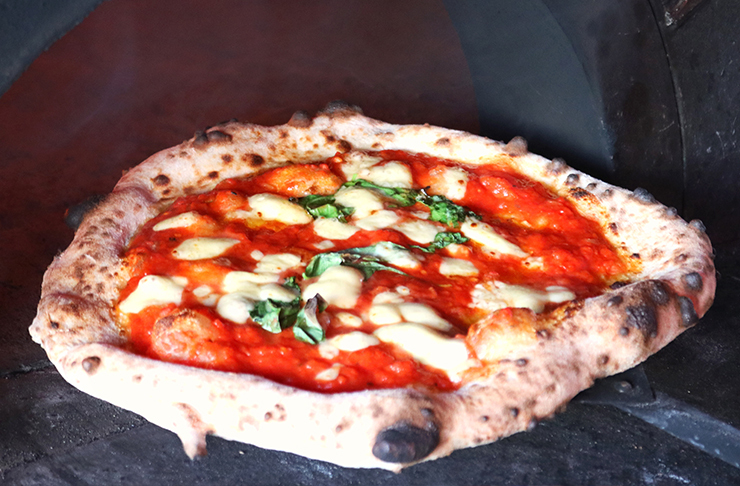 Take your tastebuds on a one-way trip to flavour town with a visit to Kingsland’s UMU Pizza. With a menu dedicated solely to pizza, it’s safe to say that this Kingsland eatery is one of Auckland’s best restaurants for indulging in this doughy treat. The menu here is short and sharp, focusing on the essentials (pizza, pizza and only pizza). In keeping with their to-the-point theme, their pizzas are simply named from ‘One’ to ‘Nine’ (because let’s face it, life’s too short to muck around with anything that distracts us from the good stuff). Topped with lashings of cured meats, cheese and fresh veggies, these pizzas arrive hot to the table from Umu’s rustic tiled woodfire oven—filling the room a mouth-watering scent of pizza. Vegetarians and vegans will be stoked to know that there’s plenty of options for them—right down to tasty vegan cheese. With a little something for everyone, as well as Aperol Spritzers and fine drops of wine, on the menu—UMU is sure to be your go-to hidey-hole for all your comfort food needs. How about a nightcap? Check out the best bars in Auckland.